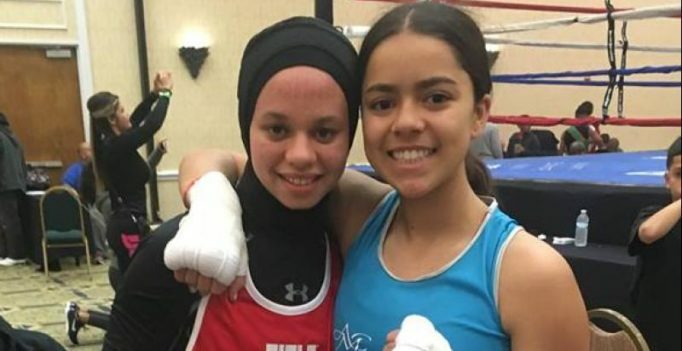 Washington: A 16-year-old Muslim-American boxer, who wants to compete at the Tokyo Olympics in 2020, has won the right to wear a hijab and fully cover her arms and legs while boxing in the US. Anew USA Boxing exemption means Zafar can adhere to her religious beliefs rather than to a mandate that she wear a sleeveless jersey and shorts that cannot go below the knees, The Star Tribune reported. “This is a big step. She’s put a lot of labour into this. She earned the right to showcase her skills, and I’m happy for her,” her coach Nathaniel Haile was quoted as saying. “But it’s just the first step in letting her achieve her dreams,” Haile said. Zafar will now have the opportunity to fight in local matches and many tournaments throughout the country, Haile said. Zafar, who is relieved she can finally compete, said, “I’m ready”. “You get so invested. My weight is in the right place. My head is in the game,” she said. To be turned away — “it’s exhausting,” Zafar added. Her mother, Sarah O’Keefe, is more excited than nervous, pointing to her daughter’s training and skills. “(Amaiya) has wanted this for so long,” O’Keefe said. “We welcome this partial victory and look forward to the day when athletes of all faiths may compete nationally and internationally while maintaining their religious principles,” said CAIR National Communications Director Ibrahim Hooper.